Black pod disease is caused by several species of Phytophthora. In Cameroon, the disease is mainly due to Phytophtora megakarya. The pathogen attacks cocoa pods and can lead to almost total production losses in a plot if no control measures are applied. To control the disease, several research programmes are being conducted: breeding for increased resistance, development of several biocontrol or agronomic methods. However, for better use of a specific method it is useful to have a good understanding of several epidemiological processes and more effectively know how the disease is distributed in the field. The purpose of this study was to describe the spatial development of the disease in several cocoa fields in Cameroon. In particular, we determined the spatial relation of the disease using several tools, including geostatistics models and Moran indices. The results indicated that the disease was not randomly distributed, while correlations between neighbouring cocoa trees existed. The relationships were detected up to a distance of between 7 and 9 m, revealing the wide dispersal pattern of the pathogen over short distances. 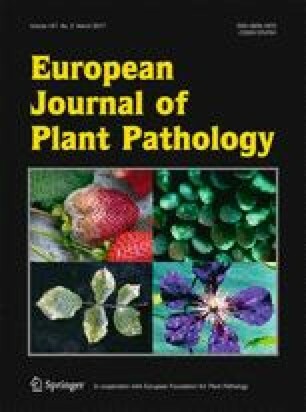 No spatial structure was found in the spread of the disease in the oldest cocoa plantations and the inoculum was dispersed throughout the plot. Disease dispersal over short distances should make it possible to adapt control methods by attempting to confine the first disease foci in young plots. Research should also be undertaken to limit inoculum dispersal. The authors acknowledge Peter Biggins for translation in English.